First details, trailer, and screenshots. Mega Man X Legacy Collection and Mega Man X Legacy Collection 2 will launch physically and digitally for PlayStation 4 and Switch, and digitally for Xbox One and PC on July 26 in Japan for 3,300 yen, Capcom announced. A Mega Man X Legacy Collection 1+2 set including both collections will also be released physically for PlayStation 4 and Switch for 5,550 yen. Mega Man X Legacy Collection will include Mega Man X, Mega Man X2, Mega Man X3, and Mega Man X4. Mega Man X Legacy Collection 2 will include Mega Man X5, Mega Man X6, Mega Man X7, and Mega Man X8. Each collection will also feature an “X Challenge Mode” where the series’ boss characters team up and attack the player. Additionally, each collection will offer various graphics options. With “Filter Off,” you can play with the original pixel graphics; with “Filter 1,” you can play with smooth, revised graphics; and with “Filter 2,” you can play with CRT-style graphics. For Mega Man X7 and Mega Man X8, which are 3D games, you can enjoy each title in higher resolution. 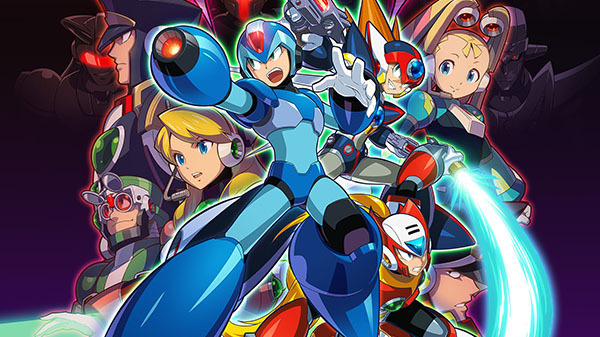 In addition to those elements, there will also be a “Museum Mode,” “Music Player,” “Gallery,” “Trailer Theater,” “Goods Catalog,” and the “The Day of Sigma” anime originally included with the PSP game Mega Man Maverick Hunter X. Watch a trailer below. View a set of screenshots at the gallery. Visit the official Japanese website here.